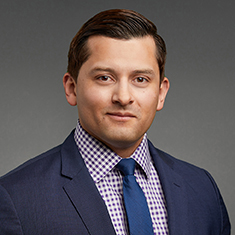 Albert Ortiz is an associate in the Commercial Finance practice. He represents lenders, agents, borrowers and private equity sponsors in a wide variety of finance transactions for both public and private companies. Albert's experience encompasses acquisition financings, asset-based financings, refinancings, documenting and negotiating financing transactions, and mezzanine financings. Prior to joining Katten, Albert was an associate at a Milwaukee-based national law firm. While attending law school, Albert worked in the legal department of a leading digital financial media company and as a paralegal for one of the nation's largest law firms. Shown below is a selection of Albert’s engagements.